Minute Suites values our customers and their privacy. Minute Suites does not share any of our customers data. We do not track our customers, and the only information obtained on our customers is the information our customers provide during the checkout process. Cancellations must be made 12 hours in advance to qualify for a refund. Cancellations not made within this window will be offered a credit toward a future stay if the stay is unused. Minute Suites understands that some situations are out of our guests control. If you have a reservation and cannot make a cancellation prior to the 12 hours mentioned above due to a flight delay we will offer either a credit towards your next visit or issue a refund to the credit card on file. A flight delay must be proven via airline verification in order to receive a full refund on your credit card. Minute Suites offers a clean facility for our guests. If we find that the condition of the suite is left damaged, with biohazard material or human deposits we will assess a fine of $1000 USD cleaning fee to the credit card on file. Minute Suites is a non-smoking facility and we politely ask that you use the designated smoking areas outside of the airport/facility. If you choose to smoke inside our facility, we will add a cleaning service charge of $250 USD to the credit card on file. Pets-$25.00 Pet fee will be assessed for any furry friends staying with us. This fee assumes purchase of the Lone Star Suite. A party shall not be held liable for failure of or delay in performing its obligations under this Agreement if such failure or delay is the result of an act of God, such as earthquake, hurricane, tornado, flooding, or other natural disaster, or in the case of war, action of foreign enemies, terrorist activities, labor dispute or strike, government sanction, blockage, embargo, or failure of electrical service. The non-performing party must make every reasonable attempt to minimize delay of performance. In the event force majeure continues longer than 120 days, either party may terminate the Agreement, repaying the full amount of the deposit within 10 days of termination notice. ADA compliant guest rooms are available and should be reserved in advance. For more information, please contact the location directly. The location is fully equipped with smoke detectors and emergency evacuation plans in all rooms and public areas. Minute Suites is not responsible for lost, damaged, or stolen personal items. Should any guests lose personal belongings whilst staying at Minute Suites, if recovered, the item will be recorded as ‘found’. 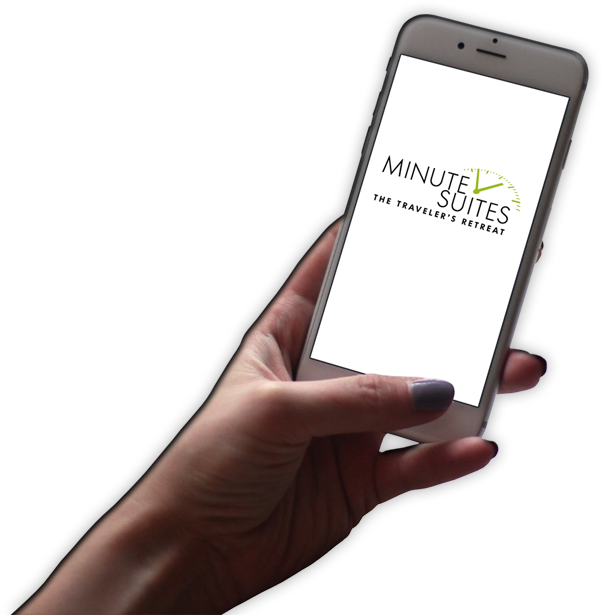 Minute Suites keeps detailed records of all ‘found’ items, and will make a reasonable effort to contact the guest if an item is left in the guest’s room after the guest has checked-out which will be placed in our Lost & Found safety box. We will ship items back at the owner’s expense. Any items in the Lost & Found, which are not claimed within ninety (90) days, will be donated to a local charity or discarded. Minute Suites may enforce special event policies over high-demand dates, such as some holidays, sporting events, festivals, or other citywide events. Event policies can include pre-payment/non-cancelable requirements for room reservations, and increased occupancy rates. Please contact the location for further information. Minute Suites has azero tolerance policy in which it will refuse to admit or refuse service or accommodation or may remove a person who: while on the premises of the hotel acts in an obviously intoxicated or disorderly manner, destroys or threatens to destroy company property, or causes or threatens to cause a public disturbance; or refuses or is unable to pay for the accommodations or services. Minute Suites may limit the number of persons who may occupy a particular guest room and will only allow registered guests to use its facilities. A person who negligently or intentionally causes damage to the location or any furniture or furnishings within the location, shall be liable for damages sustained by the location staff, including the locations loss of revenue resulting from the inability to rent or lease rooms while the damage is being repaired.